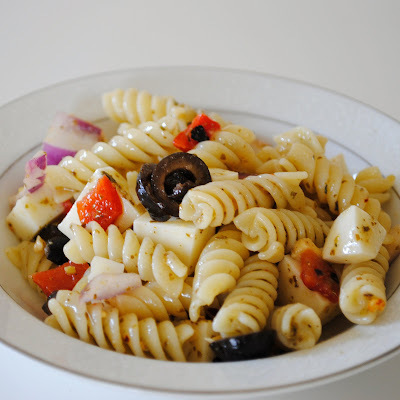 For some reason, pasta salad always seems like the perfect side dish when I want to grill out. It just says summer to me. Because its served cold, its easy to prepare ahead of time so you can relax and enjoy the barbecue. 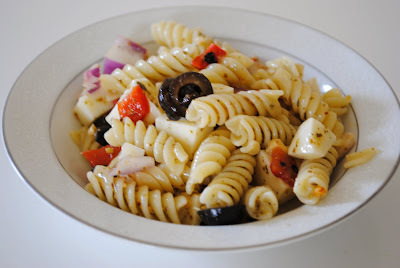 This one is a nice change from typical mayo-based pasta salads. The pesto packs in tons of flavor. Boil a large pot of water over high heat. When the water reaches a boil, add salt and add pasta. Cook according to package directions to al dente. Drain and rinse with cold water. Transfer to a large bowl. Combine basil, garlic and pine nuts in a food processor and pulse until coarsely chopped, slowly stream in olive oil with processor running until uniform. Stir in cheese and pour over pasta. Toss to distribute and add red peppers, olives, onions, and mozzarella cheese. Mix in crushed red pepper flakes. Cover and refrigerate at least 30 minutes prior to serving. I agree 100%! 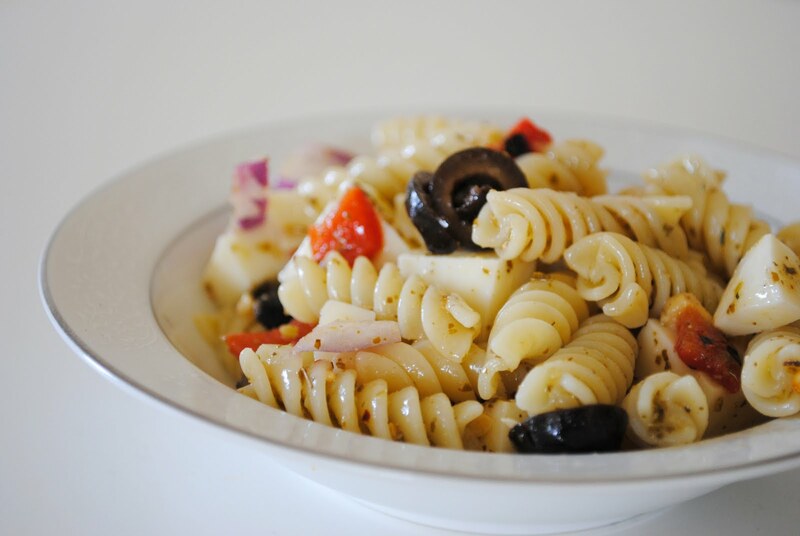 Nothing says summer like pasta salad! I have a go to pasta salad, but this might have to get added to the rotation! This looks fabulous! Going to have to try. I am a carboholic for sure... I love anything pasta!